and a ghost to join him. Cut out a face for your character and decide your placement prior to beginning project. 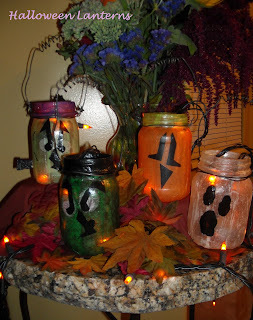 Mod Podge the top of your jar (green for your pumpkin stem, black for your witch's hat, etc.) and then begin to Mod Podge the characters strips down the jar. Mod Podge the face in the place and allow to dry. 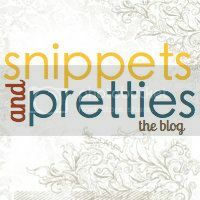 Twist the wire around the jar and up over the top to fashion a handle. Drop a tea light candle down inside and voila! A darling Halloween lantern. My daughter and I decided to get all the women in our family together once a month (or so) for a craft day. 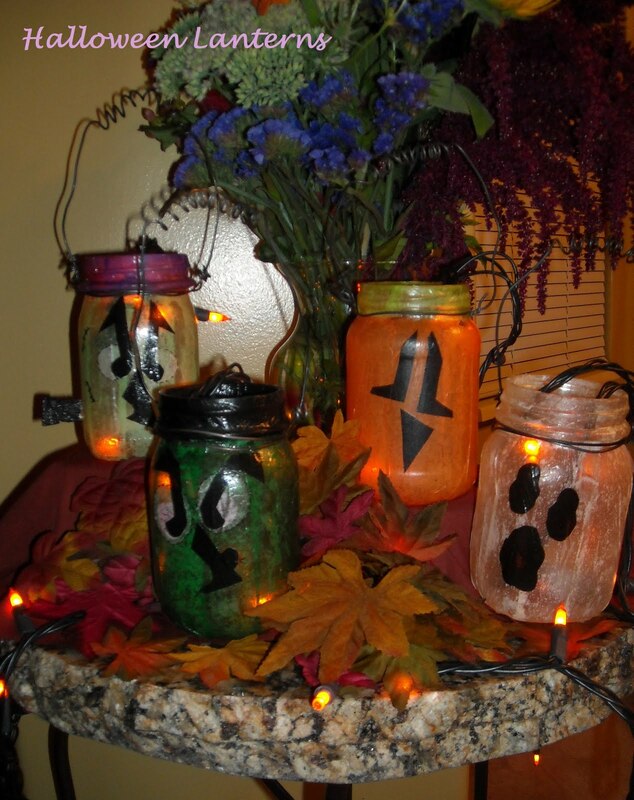 For our first get together, we made these Halloween lanterns. Here are a few pictures from our day together. My niece, Sam, and her one-eyed Cyclops. My big sis forbid me to post her picture. :) My mom, her twin sister, and my M-I-L also joined us. A collection of the day's lanterns. Thanks, Amy. Although the original idea was my Aunt's (I just expanded on her creation). We all had a great time making them. Dropping by from teh Alexa Hop. New follower, would love a follow back! 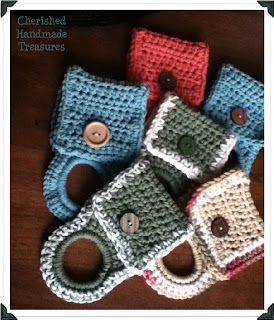 I actually saw these the other day somewhere and had them on my list of projects. yours turned out very cute! Cute and simple too. This would be a great project for the grandkids...and they would last from year to year. that looks fun!!!! I want to make some now, thanks for sharing. The cheesy poser comment just about killed me... awesome! Those look cool. I have no idea where you even buy stuff like that... probably Michaels? Nice! Great for my Halloween Bash!